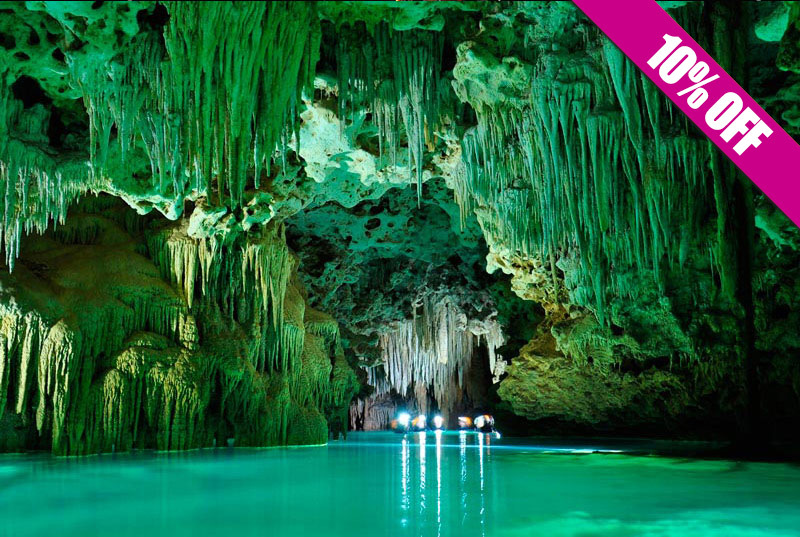 Rio Secreto is a must-do. 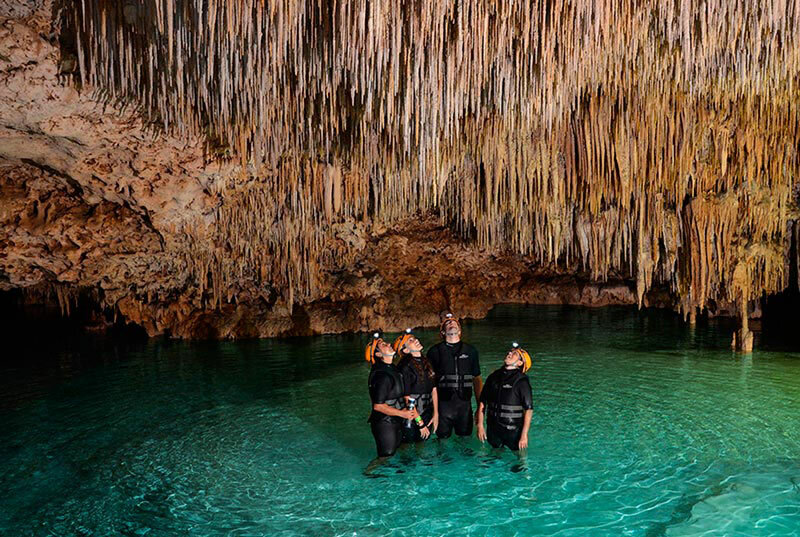 Discover this stunning and mysterious underground river with thousands of astonishing stalactites and stalagmites. It feels like stepping back in time to contemplate something undescriptable and truly spectacular. 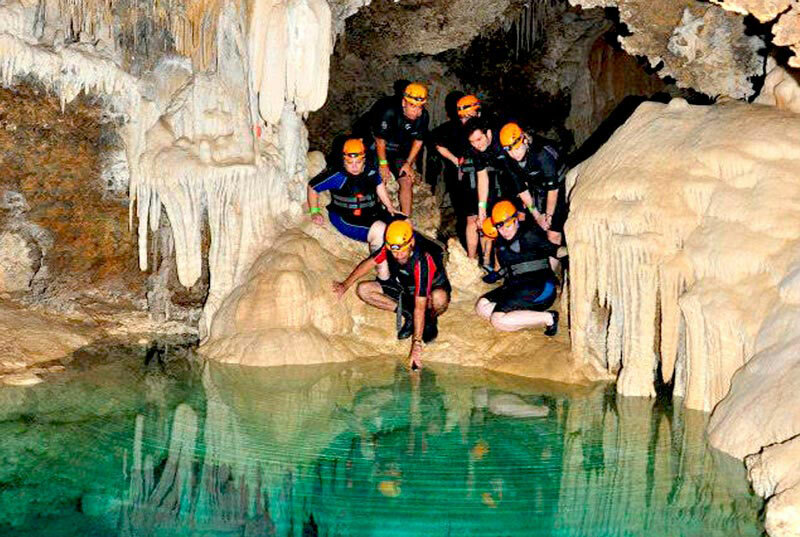 Explore a crystaline experience in Rio Secreto underground river, swimming through untouched waters. 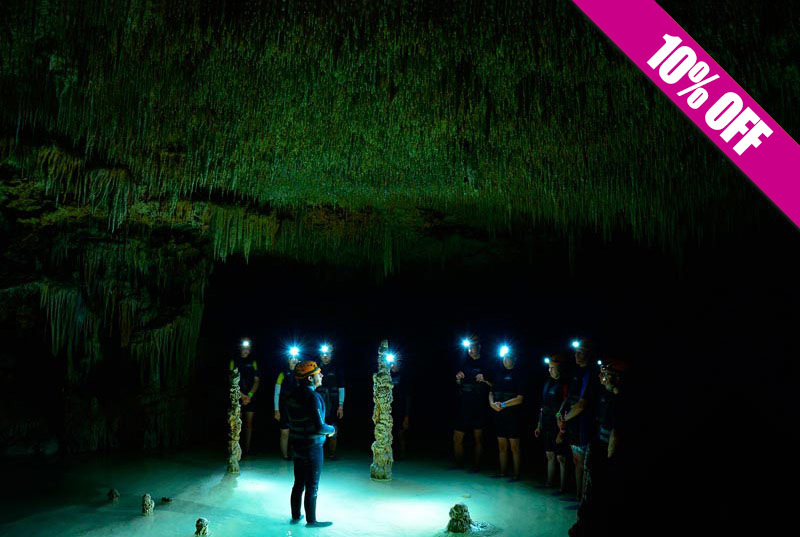 Don't miss this activity. Reserve now! 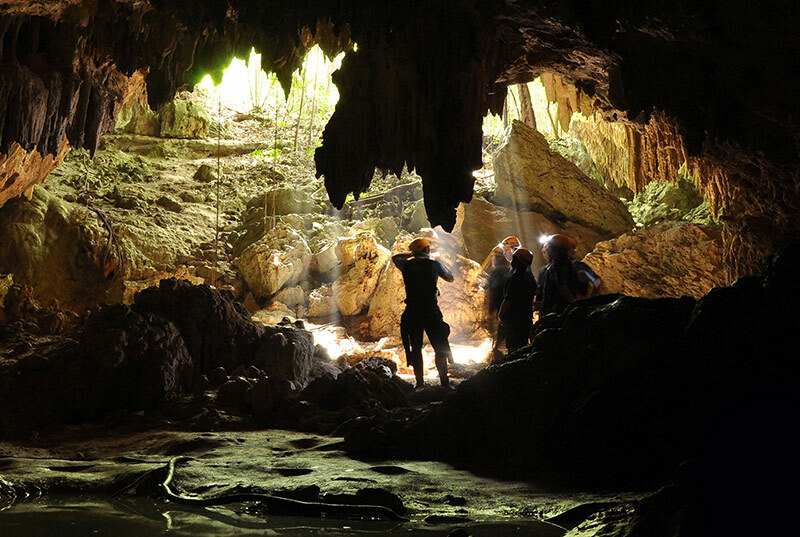 Breath the flavors of the Earth history. 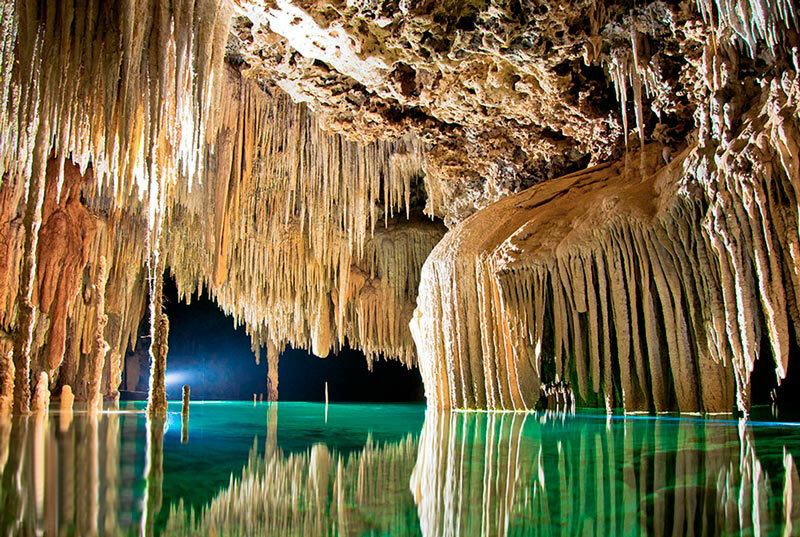 Feel the essence of the light and immerse yourself in the sound of the water flow. 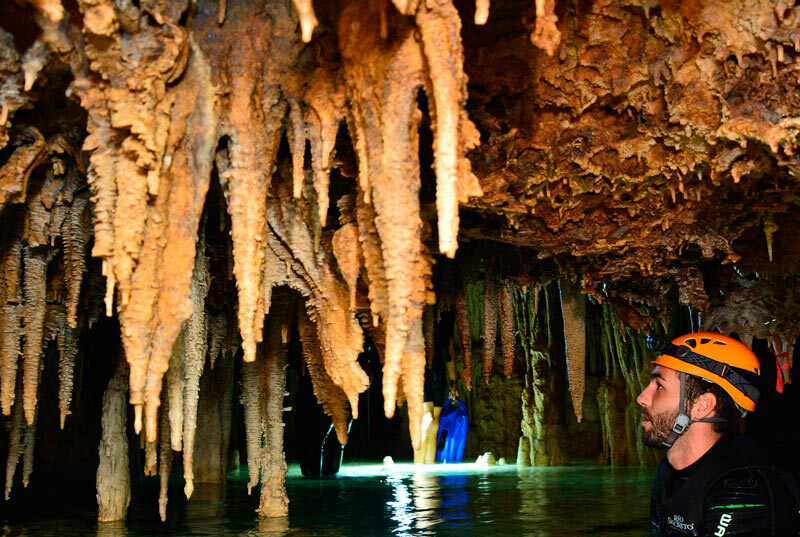 Rio Secreto is the longest semi flooded cave in Riviera Maya. Enjoy it better in small groups ensuring the safety of all of you. 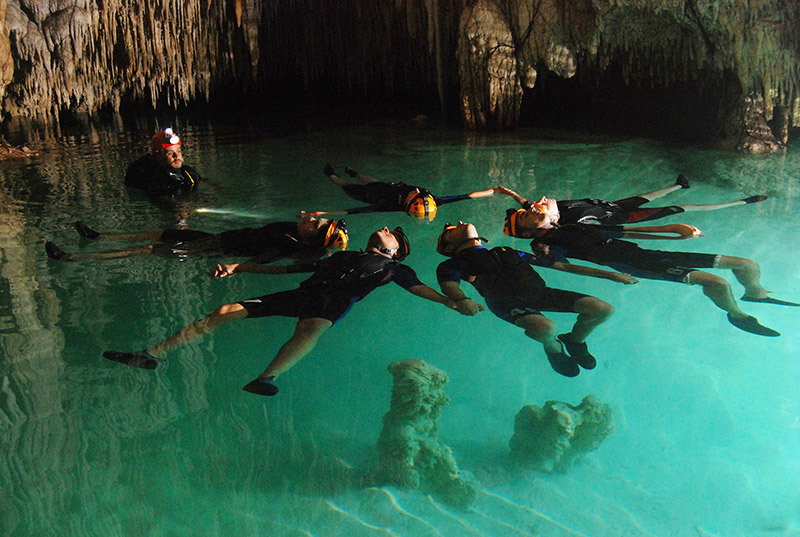 Swim through its beautiful natural glass galleries on a 1 km long tour and enjoy a regional buffet and non alcoholic drinks. Cash or credit card for extra expenses. Use of chemical products is not allowed such as sunblock, insect repellent, excesive makeup, etc. 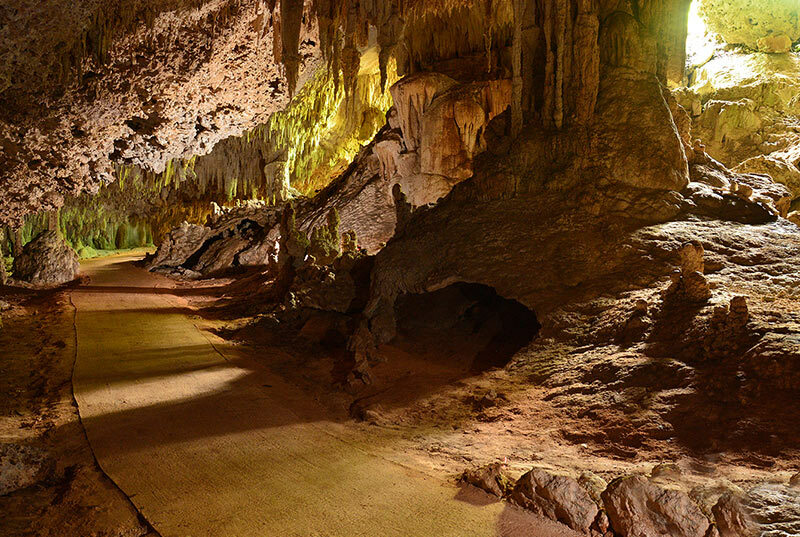 In Río Secreto Plus you will experience a journey into the bowels of the Earth, where you will find impressive geological formations, a tour in our Dry Route.. 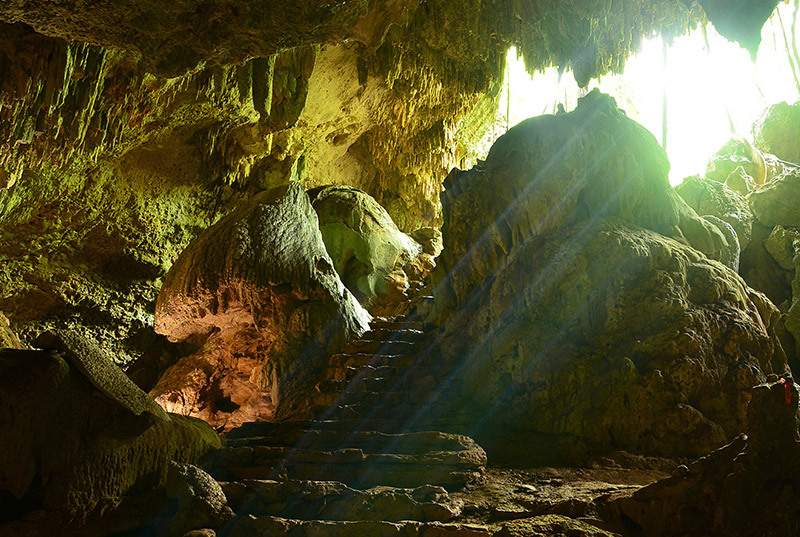 In addition, after the "Dry Route", upon reaching the Salón de la Paz you will admire a light and sound show in a totally natural setting. A delicious regional buffet and non alcoholic drinks are included! Use of chemical products is not allowed such as sunscreen, insect repellent, excessive makeup, etc.